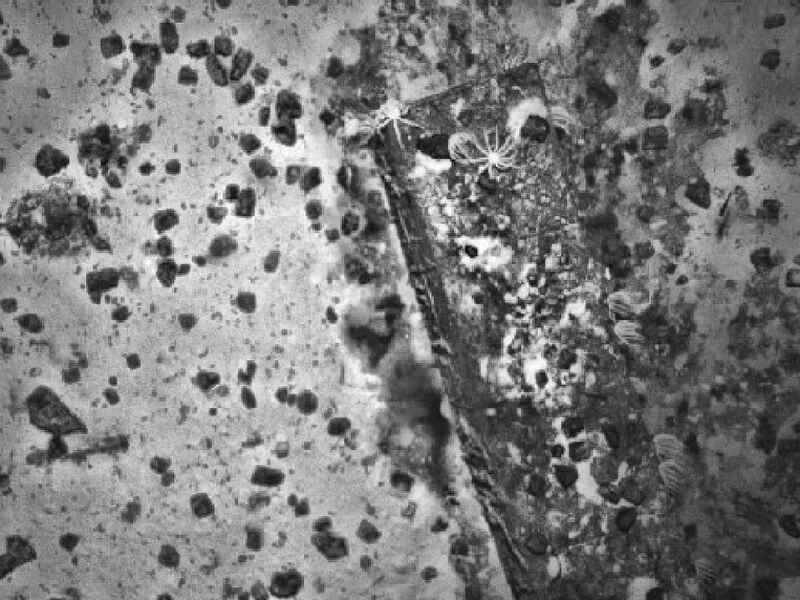 In the search for MH370, Australian officials founds a shipwreck on Dec. 19 believed to be from the 19th century. In the search for missing Malaysia Airlines flight MH370, officials in Australia have inadvertently discovered a shipwreck believed to be from the 19th century. On Dec. 19, one of the vessels searching for MH370 detected an unexpected object in the Indian Ocean during a sonar scan which located something that was thought to be man-made. Searchers then sent out a second boat named Havila Harmony to takes pictures using a high-resolution sonar on board an autonomous underwater vehicle for further examination. After analysis, officials determined that the debris was probably a shipwreck instead. "The objects were most likely a 19th century ship made out of steel or iron," Robert Smith of the Australia Transportation Safety Bureau told ABC News today. The ATSB sent the photos to the Shipwreck Galleries of the Western Australian Museum, which conducted a preliminary review of some sonar imagery. It determined that the ship is likely to be made of steel and iron from the turn of the 19th century. The museum's maritime archaeologist Ross Anderson told the ATSB in a statement that the ship is in tact and appears to be sitting upright. He estimates the ship to be from the mid to late 19th century or the turn of the 20th century. "It appears it is collapsing in classic iron ship fashion with the bow and stern triangles upright and intact, and side plating collapsing out to starboard,” Anderson said. 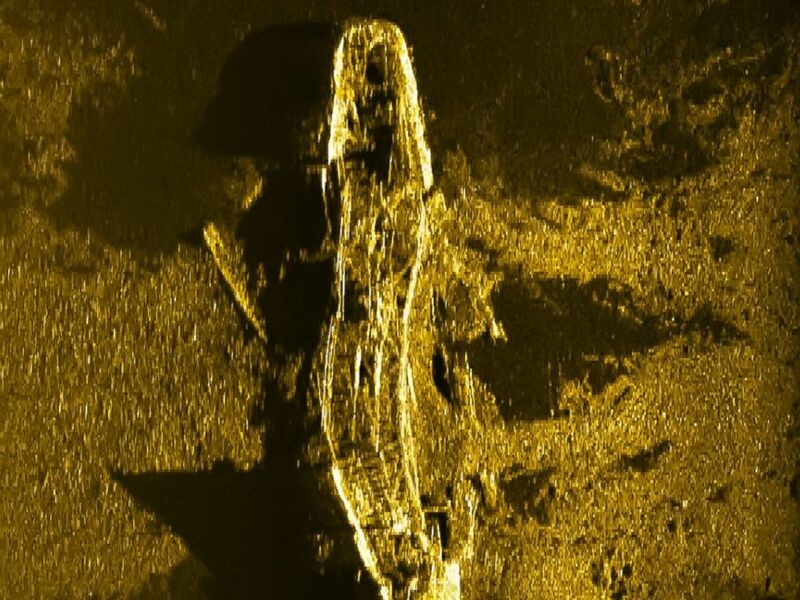 In May, searchers found an additional shipwreck using the same high-resolution sonar technology aboard the Fugro Equator, one of the three vessels continuing to search for the plane. Shiny debris from the shipwreck initially piqued searchers' interest, thinking it could have been the plane. “There were characteristics of the contact that made it unlikely to be MH370," said Peter Foley, the ATSB's Director of the Operational Search for MH370. "It’s a fascinating find, but it’s not what we’re looking for." 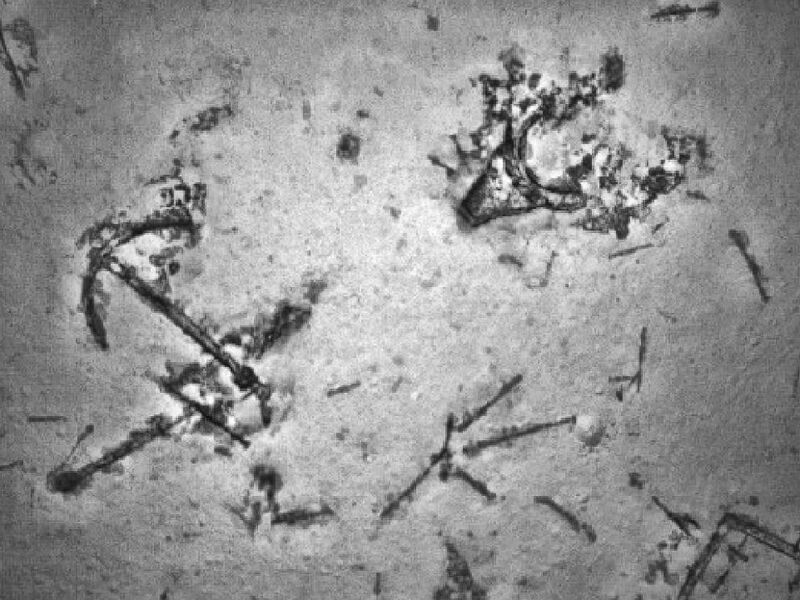 An anchor is seen among debris from a shipwreck found in May in the search for MH370. Boats using high-tech detection devices have failed to locate the missing plane for nearly two years since its disappearance on March 8, 2014 en route to Beijing from Kuala Lumpur, Malaysia with 239 passengers and crew on board. Searchers plan to scour 120,000 square kilometers, about 46,000 square miles, in the next six months, the Joint Agency Coordination Centre in Australia said. The centre is directing the search for MH370. An anchor and what is believed to be lumps of coal were among the debris found in the shipwreck, which is believed to be from the 1800s, the ATSB said. In May, Debris from an additional shipwreck led authorities to believe they had found the missing MH370. The black lumps are believed to be coal. The only plane debris that has been found so far was on Reunion Island, and island owned by France in the Indian Ocean. A representative for the JACC did not immediately return ABC News' request for comment.